2004: Bénédicte Défontaines launched the Aloïs network, a new community-based pathway for the diagnosis and care of adult patients with cognitive disorders. This network is at the same time fully complementary to the existing system and more flexible and less traumatizing for patients. The diagnosis and care process is also performed at a lower cost – which is beneficial to the community and the public finances. 2006: Contribution to the creation of a consultable patient database. This was a significant step towards better information exchange within the medical profession. 2014: Aloïs started the first remote memory consultation. This service is now available to the French living over-seas and abroad. 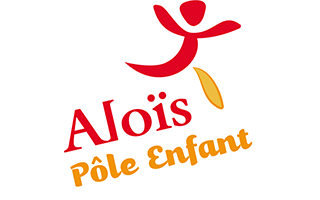 2016: Aloïs started extending its service to children with learning disabilities, as early as the age of 6. 2017: Aloïs started supporting organizations with innovative projects in the children education sector. According to the World Health Organization, the world population is ageing at an increasing rate. This phenomenon has become one of the greatest challenges of the 21st century. It is correlated with the increasing number of patients with dementia (Alzheimer’s disease and related disorders). This is a public health priority – a social emergency. On the planet, in 2050, people over 60 will represent 2 billion people (21,1% of the world population), and people over 60 will outnumber people under the age of 15. As a result, 115,4 million new cases of dementia are forecast. In France, in 2050, people over 65 will represent more than 1/3 of the population: 35% (including 16% for people over 75) which should represent 7 million new patients. Since it takes on average about two caregivers (professional or non-professional) to look after one patient, this could affect a tremendous portion of the French population – within only thirty years! This major issue is a worldwide phenomenon. This is affecting every country, but mostly developing countries. This is not only a matter of ageing, it’s also a matter of education. These diseases create dependency and are not curable. But prevention is possible: by first increasing synaptic-reserve (cognitive-reserve) as early as possible (childhood), then maintaining and strengthening it throughout adulthood. This will contribute to give patients, caregivers and health professionals the skills to live a better, happier life and to postpone dementia. Children with learning disabilities and/or attention deficit hyperactivity disorder, dyslexia, dyspraxia, dys…. Aloïs’ consultation staff works closely with traditional hospital-memory consultation specialists. In 2006, we participated in revamping the national knowledge management database that is shared within 80% of neurological institutions and professionals in France, to include a broad range of useful medical and non-medical information – including socioeconomic data. Aloïs’ organization has contributed to getting a quicker diagnosis, at an early stage. An early diagnosis for a better life! 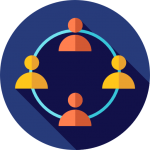 This cognitive consultation is meant to be financially affordable (people are charged according to their incomes) and geographically accessible (remote consultation) for every adults. Since 2004, we have consulted and offered care to over 10,000 patients and 3,000 caregivers, and we have launched 4 remote consultations campaigns. We are now adapting the cognitive tests (verbal memory test, visual memory tests…) from the French language spoken in the mainland to the French language spoken over-seas or abroad. Aloïs has conducted research to evaluate how much savings could be generated for the society as a whole and public finances in particular if the Aloïs model was deployed on a wider scale: the results are significant as the method dramatically improves overall care and seems to address this soaring social need. 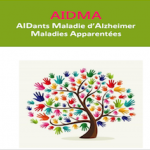 Currently, we are closely working with la Caisse Nationale d’Assurance Maladie (CNAM) to experiment the Aloïs model for adults. The goal is to study how consultation could be considered a basic medical right in the French common law. And we are also collaborating with l’Agence de Santé d’Ile de France (ARS IF) to experiment the Aloïs model for children with the same goal. Hopefully the French Social Security will integrate our model in the common law within the next 3 to 5 years. Towards education professionals to help them detect children with learning disabilities. And Towards parents. Since 2017, Aloïs has been supporting organizations with innovative projects in the field of children educational. Any institutions – regardless of their country – whose mission is to facilitate access to reading and to arts since childhood may get support from Aloïs. Each organization needs to have designed their own education programs for children or teenagers. We believe that these organizations have a positive impact by increasing children’s synaptic-reserve (cognitive-reserve). Aloïs works with these organizations to co-analyze their impact on children. Aloïs offers a complementary approach to what they do, through cognition and neuropsychology. Our aim is to help them publish their impact in scientific journals, in order to facilitate their duplication and spreading. The number of elderly people on the planet is growing – and the trend is not about to stop. Diagnosing neurodegenerative diseases and providing and care, education and support is of the utmost priority. Bénédicte Défontaines holds an M.D. degree, as well as advanced degrees in: Biochemistry, Neurology and Neuropsychology, and Neurosciences. Dr Bénédicte Défontaines has been an Ashoka Fellow since 2013, an acknowledgement of her vision, commitment and dedication to improving the situation of patients suffering with cognitive disorders. 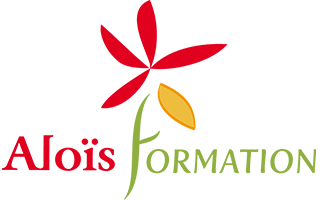 Next to her activity as Aloïs’s CEO, Bénédicte Défontaines offers consultation for patients with neurogical-neuropsychological (cognitive) dysfunctions both at her medical office and in a hospital.